The quintessential Haitian folk singer, political activist, genuine songwriter and former Mayor of the Haitian capital Port-au-Prince, Manno Charlemagne is back with a dazzling compilation entitled Les inédits de Manno Charlemagne. For many years, Manno weighed heavily on the social conscience of the Haiti’s lower class. Fearless and uncompromising, Manno was indeed the vocal conscience that canalized all the grievances of the disenfranchised masses of Haiti. For that, he was considered a dangerous figure, an impudent balladeer in the eyes of those who held the reins of power in this Caribbean island nation. Mixing the fine touches of his acoustic guitar with his baritone voice and what could be called a brazen attitude, Manno enthralled an audience of millions that spilled over the borders of Haiti to reach many corners of the world in the 1980s. His popularity reached its zenith in the early 1990s during the grizzly days of the military junta that overthrew the Aristide (version 1) government. 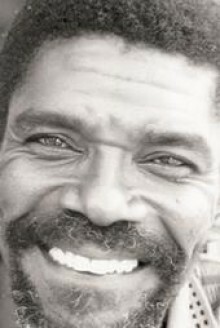 In 1992, at the Joseph Caleb Center in Miami and before an audience numbered in the thousands, Manno recounted his gut wrenching moments in Port-au-Prince, where he had become the lone ranger, the instigating voice that could not be silenced in the middle of an ocean swelled with uncertainty and despair. Of course, the coup plotters paid heed to the daring folk singer. But his long trajectory of descent and his international status may have been the reason that kept the Raoul Cedras, the general who headed the coup, and his acolytes at bay, from doing away with Manno. Les inédits de Manno Charlemagne is an impressive collection of Manno’s best, which includes some of Manno most intriguing and yet most provocative works, like Malaguet, Simityè, Konsyans Nou Nan Twou, Lopozisyon etc… In all, the album contains 22 songs that can only bring awe to the hearts of all those still nostalgic of an era when the Haitian left appeared intact and leading the drive against the Creole fascists in Haiti. These songs will definitely strike a chord, especially Malaguet, which is a tribute to the fallen—those like Jacques Stephen Alexis, and Yanick Rigaud who perished in the hands of the Papa Doc regime, but who also constituted the true faces of the resistance movement against the ascendance of fascism in Haiti. But these songs are far from being new, as the title of the CD would like to suggest. These were very popular songs in the eighties, although they were never part of an album before. What makes them sound so refreshing and new is the novelty of their revised lyrics executed by a refurbished Manno. It can only bring tears to one’s eyes, listening to Banm Youn Ti Limyè, a song with a cunning but politically charged lyric camouflaged by the tenderness of a skillful Manno. In essence, Manno was the voice of the voiceless—a voice that sent shockwaves to the hearts of traditional politicians, who were, are and forever will be solely interested in using the masses as stepped stones in their quest to become the best qualified “Governor” of Haiti. Manno’s repertoire is a blistering attack on the State bureaucracy, a relentless assault on the recalcitrant Haitian bourgeoisie and its allies: foreign embassies and traditional politicians. The rawness of their descriptive prose beautifully crafted in pure sweet Creole and “their unique juxtaposition of thorny words poured over gentle melodies” are in effect the driving force that renders Manno Charlemagne’s songs “so hauntingly beautiful,” wrote one reviewer on the album promotional website. But the album is also a vivid reminder of how time has changed, and how nothing has truly changed for millions who still wallow in abject poverty in Haiti—almost 24 years after Baby Doc fled the country under the cover of darkness when the morning dew still lingered on the Haitian countryside. Bravo Manno! Haiti will survive, for it was never destined to perish. Le grand soir de la révolution may not be near, but as long as the dim glow that used to shine the path to freedom has not been extinguished, hope is very much alive. Comment this article or e-mail it to a friend.